Managing employee benefits is our mainstay and focus. We invest a great deal of our time and resources improving the “why, what and how” of services we deliver to you and your employees. We explore new and better ways to make benefits easier to understand, access, and administer for your human resource department and employees. Health insurance is at the center of the services and benefits we provide for our clients. Accordingly we invest the majority of our time in all the processes surrounding health insurance; the carriers, their products, plans and services. The vendors we choose to work with on your behalf must be flexible, willing to work together and have the financial resources to support you (our client) over the long haul. Besides our experience, knowledge and research capabilities, are the relationships we have nurtured. We work with select carriers and vendors to ensure that you have flexibility in terms of pricing and coverage to meet your individual company needs. The end result is that your company has a comprehensive benefits plan designed for your company, a long term benefits road map and an experienced and dedicated support team. For more information or to request a quote contact John Riley at (310) 414-9524 or by email at info@rileyebi.com. Dental and vision coverage are vital components of any comprehensive benefits package. To meet your plan needs we provide traditional (employer funded) and voluntary (employee funded) benefit options. We partner with carriers that can design plans to meet your needs and who are committed to providing best-in-class service. Group life insurance and AD&D is an inexpensive benefit that helps provide depth to the coverage you offer your employees. Options typically include coverage for your employee only, or additional coverage for members of your employees family. Many carriers also offer beneficiary counseling, legal and financial counseling, and travel and support services. Coverage is available on a traditional (employer funded) and voluntary (employee funded) basis. While most employees are covered for injuries and illness, few are financially able to withstand an event that would result in lost income. Disability insurance (DI) fills that void, providing income replacement to maintain your employees standard of living until they can get back on their feet. Coverage options include short and long term benefits as well as various benefit periods. Coverage is available on a traditional (employer funded) and voluntary (employee funded) basis. Coverage for nursing home care (average annual cost of $81,000 for a semi-private room), assisted living (average annual cost of $43,000 for a semi-private room), or in-home care (average hourly cost of $21) is available. Coverage is available on a traditional (employer funded) and voluntary (employee funded) basis. While it varies by state, on average, 20 – 30% of every dollar earned goes to taxes. Wouldn’t it be great to cut your withholdings simply by setting money aside before taxes? 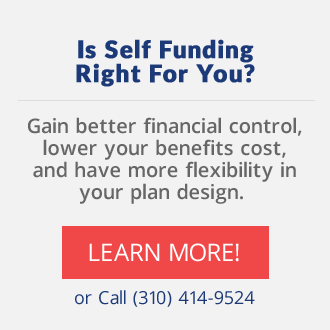 With a flexible spending account (FSA), that is precisely what you do. An FSA (also known as a cafeteria plan) is an innovative way to reduce income taxes and pay for out of pocket health care expenses using federally tax-free dollars. Allowing employees to sign-up for an FSA works to enhance the other benefits you are already offering and also allows them to fund dependent care expenses. Having an FSA just makes good sense; for the employer and employee, there are benefits for both. Let us know if you have any questions. When it comes to managing risk for your employees and providing peace of mind, you can’t cover everything, but you can make it easier. Voluntary benefits check many boxes and provide employees a convenient and tax efficient way to feel whole in terms their health concerns and related financial liabilities not covered under their core benefits. Voluntary benefits offer a wide range of plan options and cover things such as long term care, disability, life and family life, medical bridge, critical care, accident and illness policies. What most employers don’t know is that many of these plans come with wellness incentives, in the way of financial compensation, when members complete their annual wellness check-ups each year. This is an excellent way to assist employees that have unmet needs and do it in a way that reduces taxes (employee and employer). What makes this an outstanding option is that it pays them to do their wellness which can help reduce claims over the long-term and that is the very things you want to see. Lower claims means healthier and happier employees and lower annual health premium renewals; it’s a win-win. We partner with the largest general agency in the United States so we are able to provide top quality insurance services wherever your offices and employees are located. In the same way, working with the largest GA in the nation provides us the extra negotiating power in highly competitive situations so that we can broker the best deal for your company. We take a specialized approach to customer service with the focus of attention on the needs of your company and your employees. We realize the process of managing, implementing and maintaining employee benefits can be complicated so we have tailored our services to include benefits administration, human resources tools, claims resolution, employee communication materials, Affordable Care Act, HIPPA, and ERISA compliance as well as strategic reviews of your benefit program needs and objectives. If you want to know more, please contact our account manager, John Riley, at (310) 414-9524. Or fill out our contact form.